It’s been 10 years since my high school graduation. Yup, Class of ‘08 right here! There’s an area of my photography business that I have been excited to focus more time on and that’s senior photography. And ironically, the class of 2018 was the official start/biggest year of my senior photography services! As I was spending more time photographing seniors and my own senior class was in the process of planning our 10 year reunion, I started to reminisce. As we pass graduation season each May, I feel so excited for my senior clients! I see their celebrations on instagram and facebook of their graduation day and pictures in their college t-shirts. It reminds me what it felt like to be in their shoes. Or in this case, in their graduation cap. And I started to see my life from one point to another...graduation day to now and everything that has happened in between. More specifically, the lessons I have learned along the way. So, before we say goodbye to 2018, I’d love to share with you the 10 lessons I’ve learned since high school in 2008. Have you ever heard that saying? “Life begins at the end of your comfort zone?” Wow, is that true. This means something different for everyone. For me, it was study abroad. Not only that, it was deciding to study abroad for one whole school year rather than one semester. I called my parents after a couple of months and told them I wanted to come home. I wanted to give up. I decided that it was okay that I tried and it was okay that it wasn’t working out. I later learned that the Center for Global Engagement at North Georgia advised my parents to let me work it out. I know that wasn’t easy for my mom and dad, but they did the best thing they ever could have done for me. They didn’t “rescue me.” They let me figure it out. And you know what happened? I finished my full year, became a better photographer, witnessed the royal wedding of William and Kate in person and made lifelong friendships. My parents knew I would regret that decision of giving up and they were right. Last year, during my own wedding, my best friend from England was one of my bridesmaids, her parents came to the wedding, as well as eight more of my British friends. Imagine all that I would have missed if I had given up. I do regret not signing up for fencing in England. It was one of the clubs and I wondered what that would have been like. This is the time to try something new! Just go for it, do something out of your comfort zone, as long as it’s safe and healthy. Since we’re on the topic. I often hear from people that did not study abroad that they wish they would have. And if you can, I’m here tell you, it’s an experience that will change your life. Exploring a new culture, learning new traditions, traveling, making new friends are just a few of the amazing things you can expect when studying abroad. It truly is something that you will never forget. And when I returned, those experiences gave me so many lessons/topics to talk about in my job interviews. I gained independence, lifelong friends, and a new perspective on my own culture. I learned to appreciate my own traditions and cultures at home. Things that felt so “normal” to me were fascinating to my British friends and I helped them to see positive things about their culture too. My favorite British saying (and my husband even says is now too) is “risky biscuit” AKA, you’re being a daredevil. When I studied abroad, my friends, my family and I wrote each other letters. Yes, pen to paper, mail the letter with a stamp kind of mail. When I came back, my group of best friends from high school welcomed me with open arms. And I needed them. I was settling into a new space all over again. And those friends I made studying abroad? Yup, wrote them letters, mailed birthday gifts and made skype dates. Invest in your friendships, it takes time and effort and it’s so worth it. Don’t be the person that’s horrible at texting back. My friends from my high school? They’re still my very best friends today. I don’t know what I’d do without them. Those study abroad friends I made eight years ago? Let’s just say, I always have a place to stay in London! We make an effort to schedule visits, phone calls, do lunch, grab coffee, send texts, celebrate our successes and be there when something doesn’t go well. I don’t know what I’d do without my group of girlfriends. Having a support system is so important. We’ve helped each other through a lot of ups and downs. I’ve always believed that a few REALLY great friends are better than a lot of acquaintances. I mean, I had four girlfriends from England travel to my wedding for me. Four girls that I knew for one school year. But, because I had invested my time in our friendship, it allowed me to get to know to them well. So well, that they would travel over an ocean to see me marry the man of my dreams. It meant more to me than they will ever know. This rule also applies to STUFF. Your spaces during and after college will most likely be small. Be careful of what you hang on to because that pile will only grow as the years go by. Keep up with it now. I am a nostalgic person when it comes to notes, letters, ticket stubs, etc. I keep all of those memories in a shoe box (or two...or more). The point is, it’s organized. My mom also told me that quality over quantity matters when it comes to clothes which is very true! Ever buy a cheap shirt that doesn’t last long and gets a hole in it? Ever get a skirt those cost a little more that last you years?! Buy better quality clothes and make sure those outfit can mix and match with one another. I believe you save money in the long run. Oh boy….do not spend too much of your time and energy worrying about boys. Have sleepovers with your girlfriends, dance the night away, focus on school, go out on dates, but don’t ever let your energy get taken away by drama or a situation that isn’t going to make you a better person. I believe that you are the sum of the five people who hang around most. Make room in your life to surround yourself with people who will bring you up and not down. And when you do find the one, you’ll know. It will feel effortless and you will be a better person because of them. They’re worth the wait. The greatest advantage when it comes to how to save money is time. Time is something that we cannot get back, so we must use it wisely. And I believe one of the ways you can use it wisely is by saving money. When I got my first real job after college, I remember feeling so proud when I held that first check. It had a number by my name that I had never seen before when working odd jobs in high school. And at first, having a four digit number in your account is going to feel great, as it should. You worked hard for that! But, it’s not as much as you think. Life is expensive and you need to prepare for the things that haven’t yet happened. When you’re young it’s easy to stay in the here and now, but start thinking ahead and you’ll be glad you did. I am a people pleaser. It took me a long time to learn that I can say no as strongly as the person who is is trying to make me say yes. Just because I don’t want the situation to be awkward doesn’t mean I should do something I don’t want to do. The person pressuring you is the one making it awkward, not you. Just say no. And remember, “no” is a full sentence. You don’t always have to offer an explanation. Once you enter your career and join a company, there will be many different personalities under one roof. The free personality tests online are so helpful in understanding who you are and what kind of team member you are. I learned a lot about myself during those first few years of working my big girl job. And more often than not, when you stick up to the person who is treating you unfairly, they will respect you more. You can be the juiciest peach on a tree, but there’s always someone who is not going to like peaches. Not everyone is going to like you and that’s okay….a lesson I didn’t accept until recently. My favorite personality tests: Meyer-Briggs 16 personalities and the Enneagram test. Both can be found online. Everyone’s journey in this area will look completely different. But, I didn’t realize the effort I had to put into my diet and body until after high school. As you get older, your body will continue to develop and you may not digest things as easily as you used to. And in my case, I developed IBS, Irritable Bowel Syndrome, in my early 20s as most young women in this situation do. Which means, I have to be extra careful about what I eat. It takes a lot of work, but I stick to a diet that fuels my body with energy and care. You have to take care of yourself in order to show up well in life. Exercise 30 minutes of day (that’s just great for your heart and health anyways no matter what your goals are) and eat food that will nourish your body. Also, the meaning of “tired” gets more intense as the years go by! Comparison is the thief of all joy. Your self worth doesn’t come from the validation of someone else’s opinion of you. In fact, their opinion of you is none of your business. One of my favorite quotes from Rachel Hollis’ book, Girl, Wash Your Face. Only compare yourself to the person you were yesterday. You. Are. Beautiful. There was a time in both high school and college (during finals) were I suffered from panic attacks. Like, on the bathroom floor, passed out, feeling like I wanted to vomit type of panic attacks. I didn’t understand it at a young age and those feelings were terrifying, but my mom did and she helped me get through it. Be sure to talk to someone if you’re going through a herd time and seek help from someone you trust. You can get through it, but don't try to do it alone. Whatever it may be. If you are creative and you do decide to take the path to college, the biggest piece of advice I can give you is to take businesses classes! Seriously. I don’t care what kind of art you do, if you want to make money, you have to do business to sell that art. It wasn’t until my second year of college that I finally worked up the courage to admit to myself that my passion is photography and that’s what I wanted to do in life. That day, I changed my major from Visual Arts to Art Marketing so I could get into some business classes. If you’re having a hard time figuring out what you want to do in life, that’s okay. But don’t make it too hard. What do you enjoy doing in your free time? What sets your heart on fire? For me, it was being creative and that creativity turned into photography. From there, I had to figure what kind of photography and how would I earn a living. College is the time to try anything and everything. I tried wedding photography, fashion photography, product photography, street photography. Reach out to people who are where you want to be and learn how they got there. One of the best resources at my university was our career service center. There was a woman who helped me develop a resumé and practiced interviewing me. Those services are FREE (or a part of the expensive tuition) Either way you look at it, just take advantage of it! It was very helpful. None of us know what we are doing, but we are doing the best we can. That’s a lesson I’ve recently learned and it’s totally normal! So, if you ever feel that way you are not alone. This lesson goes all the way back to when you learned to walk. You didn’t go to school for it, you didn’t google it or look it up on youtube. You just went for it and then you fell. You got back up and tried again until you took your first few steps in a row. Baby steps are giant leaps forward. For our senior year field trip in high school, we took a trip to Six Flags and rode roller coasters all day. It felt fun and carefree. But, what I didn’t understand that day is that the ups and downs and twists and turns that we took on those rides would be a glimpse into what our lives would look like after high school. The dips could be heartbreak, grief, anxiety, panic attacks. The ups could be graduating, falling in love, getting married, buying a home, having a child, getting promoted. Life isn’t always an easy ride, but it’s a gift and I hope you always recognize that by living each day to the fullest. Take too many pictures, be kind, work hard and take care of yourself. 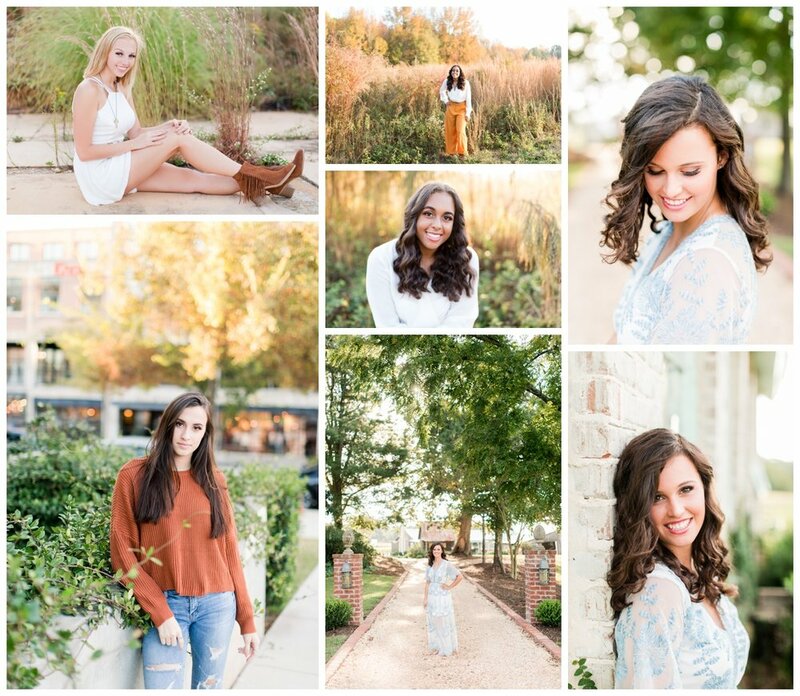 Just a few of the amazing seniors I have photographed! Engagement, House to Marriage. I went to high school with my husband. Even had the same homeroom. We met a year and half after graduation for our first date! Life can take you places you never imagined with people you never expected. 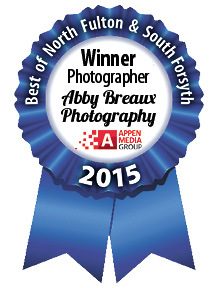 This month marks exactly one year that I quit my day job and decided to take on Abby Breaux Photography full time. That’s one whole year in business! This time last year, I wrote a blog post on what taking that leap of faith was like, which can be seen here. It’s a HUGE decision to leave somewhere secure and take on your own business….not knowing how it will all work out. On the other hand, It’s only been a year and there’s still much to do, but I’m hustling! Transitioning my work day schedule was one of the biggest adjustments by far. Your day can be anything you want it to be! A year later, I must admit, I’m still figuring this out. I’ve learned it’s important to dedicate certain tasks for certain days, such as a marketing day, could always be on a Tuesday. Scheduling out important areas of your business must be dedicated, otherwise they get pushed to the bottom of the “to do” pile and then the business could suffer as a result of that. I have been so grateful for a career that gives me slow mornings and the freedom of scheduling! But, most of all, I’m so grateful for my clients that have invited me to be a part of their story and trusting me to do something that is so important. Being a wedding photographer is not a job that I take lightly. My clients are the reason I could make this passion of mine a part of my life, full time. Bride and grooms, seniors, families…..you’re simply the best! 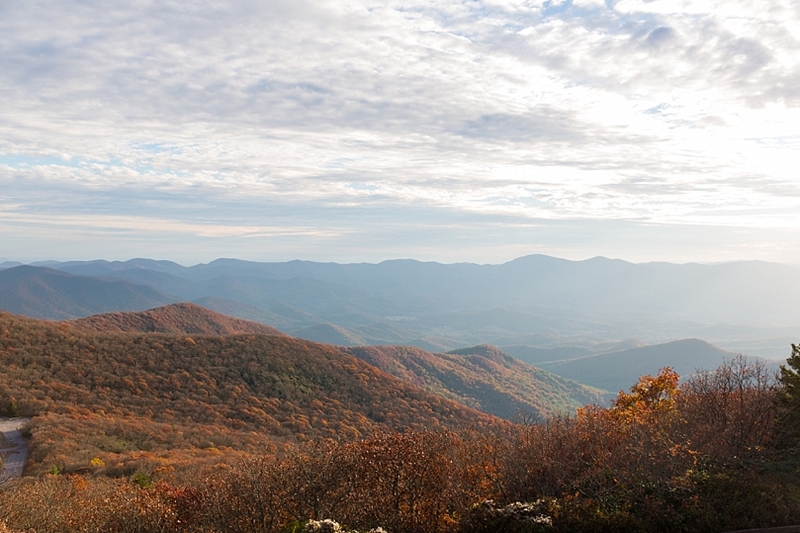 Looking back on my previous blog from a year ago feels a little bit like a time capsule. I enjoyed seeing where I was at then compared to now, and I plan to do the same with this blog. So, in a way this feels a bit like a diary and seems pretty personal, but mostly I want this blog to be for someone else too….the dreamers and the go-getters. Whatever it may be, just know that it is possible and YOU are capable! If you are someone that is sitting at that day job, I want you to know that you CAN do this! So much of my confidence to take on this business came from friends and family, but also from the photographers that I had never even met who told others, like me, to keep going. Those posts really meant a lot to me, and if you’re someone that needs to hear this, then I hope this reaches you! “All the stuff we’re so worried about creating and fixated on becoming is already right here, right now. The money you want already exists; the person you want to meet is already alive; the experience you want to have is available, now...You need to go from wanting to change your life to deciding to change your life.” Those are a few lines from the book, You are a Badass, and I highly recommend reading books like this. Before I made the jump, I read The Girl’s Guide to Starting Your Own Business. It’s an oldie, but a goodie! They keep it real. A business coach will do the same. Kristy Dickerson has been my coach during the days before I made the jump, in the process of, and after the jump of becoming a full time photographer. That’s a great investment to yourself and your business because it’s always important to keep learning and to be a student. On the flip side, it’s can also be important to be a teacher and share your gifts with the world, no matter what that looks like. For me, it was teaching photography to middle school students last year. Before making the jump to full time, I also invested in a brand and set up a new website beforehand, which really helped spring things into action as soon as I started full time. Most importantly, don't forget to look how at how far you have come! I did this just yesterday as I was feeling overwhelmed while looking ahead at all the things I have to do, yet when I flipped back through my planner and saw all of the things I had done, I was really proud of myself! But, here I was beating myself up about what was yet to be done. Anyone who has completed their first year in business must remember this too! A planner has made all the difference and I think I owe a lot of my success to that little thing! It keeps my days on track, my goals in writing and my dreams big. I use Start Planner and I highly recommend being a part of this community of hustlers. They cheer you on and celebrate in your ups and help you during your down times. Every journey is different, but I hope you find the motivation you need to make your big jump, whatever that may be! Let your faith be bigger than your fear. I wrote a blog two years ago of my adventure with Natalie in Portugal, but we originally met at the University of Plymouth in England. I studied abroad for one year studying photography. Natalie was from Bath and was also in the photography program. Our friendship began at the front line of adventure. Our first outing together was a plane ride to Paris for a school trip. I look back on that trip from more than 6 years ago and I shake my head now, because little did I know that the trip to Paris was only the beginning for us. After I left England, it was really hard to say good-bye. Two years later, she came to visit me for more than 3 weeks and we traveled around the USA together. Two years after that, I visited her in Portugal. And two years after that, she and Max came to see us in Atlanta...which brings us to this blog! I hugged her good-bye at the Atlanta airport this time fully intending to see her in the next year or two in London, but little did I know that I would be engaged on my birthday. three weeks after she left which means I get to see her THIS September for my Bachelorette Party and then our wedding!! Yay! Natalie and her partner Max own their own photography company in London. Check them out here! So, naturally we took A LOT of pictures during their stay here in November 2016. To maximize our time in the short one week that they were here, we did A LOT in a short amount of time. In fact, I picked them up at the airport at 9:30pm and we drove straight to Savannah (David joined us after Savannah) and we arrived to our hotel on River Street just after 1am. I studied abroad for a lot of reasons, one being that I love learning about new cultures. But, what I didn't expect, was the amount of appreciation that grew for my own hometown and surrounding areas. Not because I experienced anything negative overseas, but when you are acting as a host and tour guide for two foreign friends, you really look around at the same place you look at everyday, with a new set of eyes and I think that is the neatest thing. Front porches, sweet tea, words like, "y'all", mountain towns, low country boil, Bar-B-Q, S'mores, Chick-fil-a...become the little things that make up something big... OUR southern culture. It's comforting, it's "normal" and it's home. We walked all of Savannah in ONE day with a Ghost tour that evening and we headed to Tybee Island that next day and Natalie and Max swam with dolphins! They came up semi close to shore and Natalie took off running into the ocean. This was probably her most favorite part...the unexpected non-planned part :) We changed clothes and headed back to Atlanta in our sandy state. David had pizza and salad waiting for us when we returned! We sat around the table discussing the different British terms as the Americans tried to figure out their meanings. Natalie and Max came with us as we voted for our next American president, we went to the shooting range, Natalie and I got our hair done while we drank mimosas. 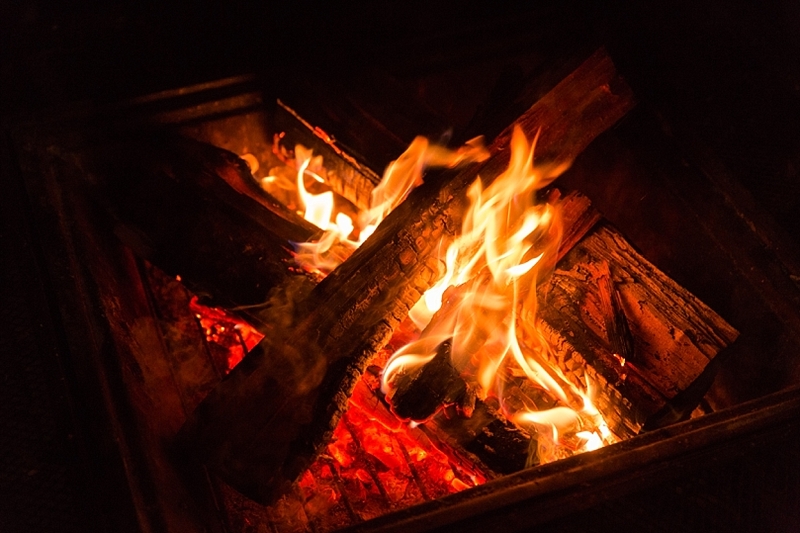 We had a bonfire with s'mores and a photo shoot..sharing tips and tricks with each other. We were hosted by Shelby and Brandon in Athens. 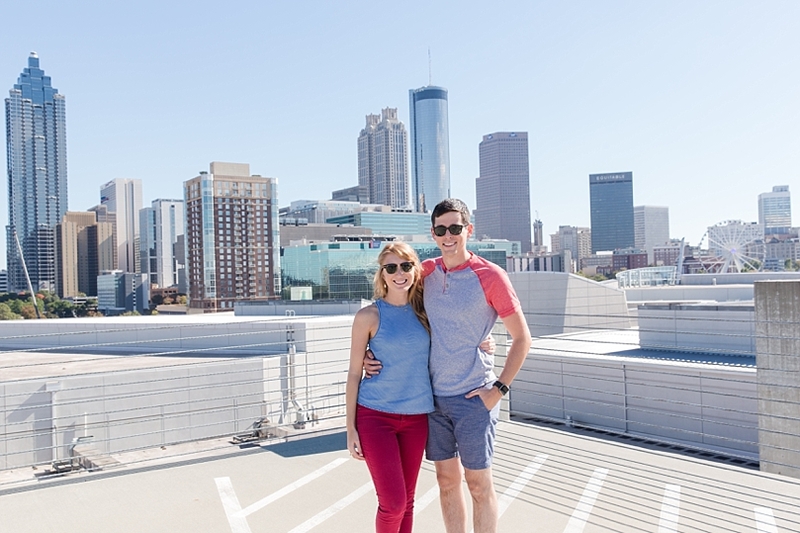 We had a picnic in Atlanta, walked the Beltline and had a drink on top of Ponce City Market overlooking the city. 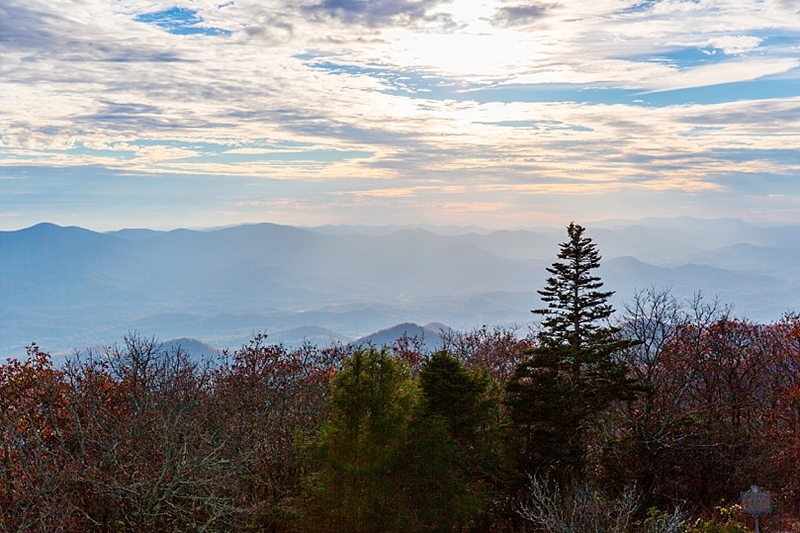 We went to Dahlonega, my old university, and visited the highest point in Georgia, Brasstown Bald.